Could successful professionals help their companies, their fellow employees and their home economies all at once? It’s a classic immigrant story: a young enterprising person leaves home in search of opportunity. She moves to a different country, finds a job, works hard and moves up the career ladder (or “jungle gym”, as it is sometimes referred to in Silicon Valley). Despite the unfamiliar cultural and linguistic terrain, this newly minted professional finds success. Maybe she builds her own company or goes on to join or invest in others. Once rooted in her new home, she feels a sense of gratitude and deep loyalty towards her adoptive country. She also feels a sense of responsibility toward those left behind; she wants to give back but isn’t going to move back. Sound familiar? Chances are, if you work in STEM, finance or any major company, you know someone who fits this description. Traditionally, first- and second-generation immigrants have channelled their money home in the form of remittances – a $600 billion annual economy. But lately a second form of remittances is taking hold – one that can benefit companies, employees and whole countries, but wasn’t possible at scale even a few years ago, before the advent of smart mobile devices. Which countries benefit from their diaspora’s skills? Growing numbers of successful immigrant professionals want to share their time and expertise, or “knowledge remittances”. According to a recent World Bank survey of professionals from the Middle East and north Africa, over 87% strongly agreed with the statement: “I am willing to invest time in mentoring individuals back in my country of origin.” Indeed, a slightly higher percentage (43%) reported that they were already engaged in sharing knowledge and skills than in sending money back home (42%). Enrolment in higher education is growing exponentially, nearly tripling outside the US over the last 15 years and reaching a quarter of a billion people. Most of that growth is taking place in emerging markets, where colleges and universities lack robust career and alumni services to help students to learn about, land and succeed at good jobs in a rapidly changing global economy that now prizes knowledge rather than industrial or agricultural production. For the first time, college graduates could get hired by large companies and work from their home countries, thus helping to stem brain drain. As Evren Ay, founder of the translation platform MotaWord observes, “educated and local talent in any emerging market today has more chance of accessing jobs through the internet and having gainful employment”. 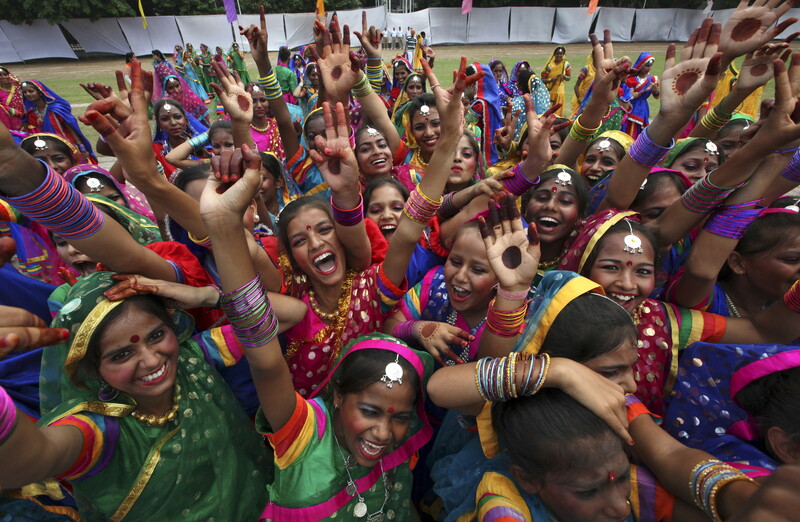 Stopping brain drain … Indian children after winning a dance competition. But they can’t seize those opportunities unless they have people to guide them. Diaspora professionals – people who share language, roots and cultural context – are best suited to offer their guidance and expertise, and the research shows that they are eager to do so. Providing these individuals with the opportunity to give their time and talent is a form of meaningful employee engagement that also serves the bottom line. And governments are recognizing the value of this approach. The Jordanian government, for example, is working with our team at Localized to connect diaspora professionals to university students in Jordan so that students can access what we call “guidance from people who get it”. According to Sara Sutton Fell, founder and CEO of FlexJobs, remote work has risen 115% over the last 10 years. Gallup finds that from 2012-16, nearly every industry in the US reported an increase in their distributed workforce. At least 59 Fortune 500 companies hire people remotely, and some companies are leading the charge. Automattic, valued at over $1 billion, has no offices. Similarly, Dell plans to have 50% of its entire workforce operate remotely at least a few days per week by 2020. These companies are “happening through info-highways,” reflects entrepreneur Sanjiv Rai, “beyond the barriers of the hard infrastructure of highways and ports”. As such, they need to find, train and retain excellent employees no matter where they operate. But this is especially true as some expand into emerging markets and thus venture into new linguistic, cultural and geopolitical terrain. A common refrain among employers is the challenge of hiring employees who possess both the hard and soft skills to excel at their roles. Who better to help aspiring professionals from emerging markets adapt than people who’ve gone through the same process of acclimatisation, and who care deeply about their community’s overall success? By harnessing the guidance and expertise of global professionals who share language, roots and cultural context, companies can shorten the time it takes to find, train and retain talent in new markets. It’s not every day that people can do something that is good for their respective companies, their fellow employees and their sectors while helping to level an uneven global playing field. When successful professionals with roots abroad have the option to share their hard-earned lessons through mentorship, career guidance and training, they help ensure that tomorrow’s career ladders, or jungle gyms, are an easier climb.